The Golden Filter - Talk Talk Talk EP. Vinyl EP. Bleep. The Golden Filter inaugurate their new 4GN3S label (that’s pronounced ‘Agnes’, by the way) with an EP. The title track of Talk Talk Talk was teased over the summer in DJ sets from, among others, the famous Dixon. 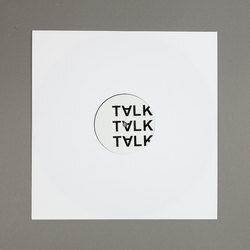 With its snappy, Human League-inspired beat, winning chorus and light dusting of Johnny Jewelish retro chic, it’s easy to see why the Innervisions magnate took to ‘Talk Talk Talk’. This EP comes bolstered by three remixes from Fantastic Twins, Cooper Saver and Kasper Bjorke & Colder, all of which are dark and minimal techno takes.